PaNdata brings together thirteen major world class European research infrastructures to create a fully integrated, pan-European, information infrastructure supporting the scientific process. PaNdata launched two projects supported by the European Commision to achieve this long term goal. PaNdata Europe was a pure support activity, laying the foundation for a federated data infrastructure by developing a policy and software framework. This project has been successfully concluded in November 2011. At the same time, the PaNdata Open Data Infrastructure (PaNdata ODI) project has started to work on the implementation of a federated data infrastructure, in particular on software and data catalogues, user identities and authentication systems or optimized data analysis methods, to mention some of the core topics. PaNdata ODI runs until September 2014. PaN-data Europe was an EU Support Action under INFRA-2010-3.3: Coordination actions, conferences and studies for e-infrastructures. PaN-data Europe is part of the PaN-data international initiative. The project was successfully concluded in 11/2011. For more details, like public deliverables, talks or documents see the PaNdata wiki pages. The PaN-data Europe Strategic Working Group (PaN-data Europe) has supported the development of a sustainable data infrastructure for European Neutron and Photon laboratories. 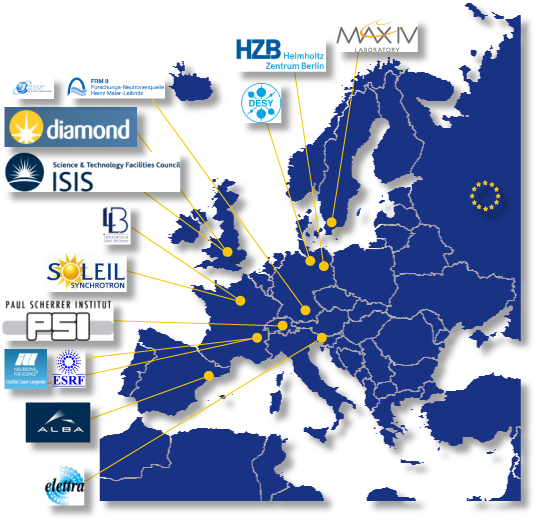 The existing PaN-data collaboration aims to develop a common data infrastructure for European Neutron and Photon large facilities. The PaN-data Europe Support Action has supported the integration of this work with the creation of a fully integrated pan-European e-infrastructure supporting all scientific communities.